OBSERVER Photo by Nicole Gugino Festivals Fredonia Co-Chair Larry Fiorella, Mandi Shepp and Christopher Shepp manned the Festivals Fredonia booth during Fredonia History Days Saturday. 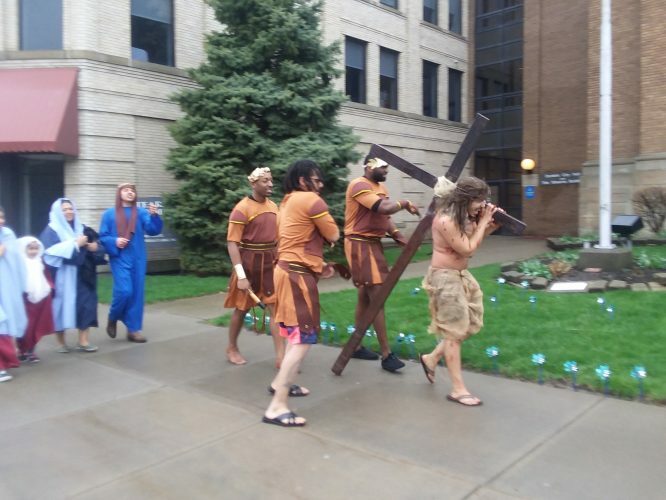 The glories of the past were at the forefront for Fredonia History Days Saturday in Barker Common. From suffragettes in purple, white and yellow sashes to historical displays on the Fredonia Grange No. 1 and vendors offering “vintage” and modern wares, the festival was fun for the whole family. 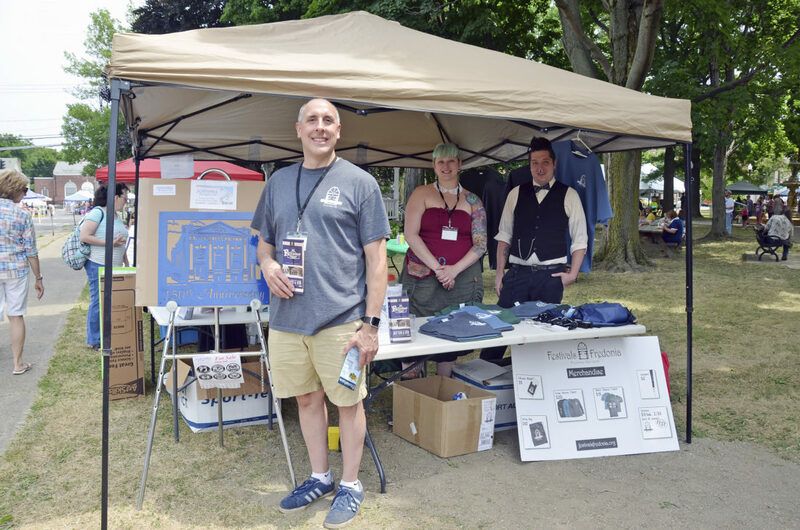 Festivals Fredonia also offered a variety of promotional items from branded shirts to lanyards, backpacks and stickers, as well as a brochure featuring six historical contributors – Fredonia Grange No. 1, DFT Communications/Maytum Family, the first gas well, the Fredonia Normal School, Fredonia architecture and J.S. Lambert Hook & Ladder. “This was a big year for the Fredonia Grange with a 150 years as the first grange in the U.S. We have celebrated that in our first brochure and with a raffle of steel plate art of the historic building,” Fiorella continued. OBSERVER Photo by Nicole Gugino The Vintage TeaGarden Owner Rebecca Cuthbert was one of several vendors at Fredonia History Days. The festival also featured 15 vendors, each of which had a sticker for a “passport,” which if completed, equaled a raffle entry. Children visited with Fredonia Fire Department’s Sparky, the fire safety dog, decorated cookies with the help of Girl Scout Troop 20033 and Brownie Troop 20010 and dressed in vintage costumes provided by Northern Chautauqua Catholic School at a photo booth. They also lined up for balloon animals made by Gary Mooney, AKA Mr. Balloon Man, who was dressed in an old-fashioned all-white outfit, complete with red, white and blue balloon hat and bowtie. 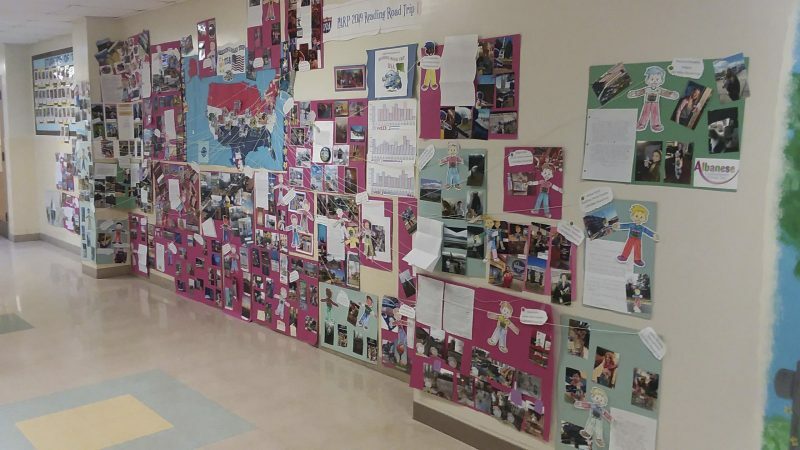 While children could learn about the area’s past, some older adults reminisced about times gone by. 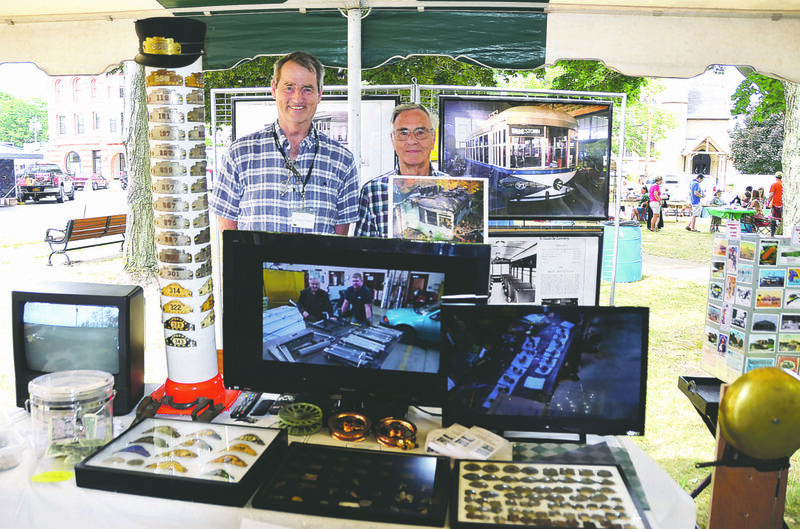 Bob Johnston and Jim Mitchener heard many stories about the region’s trolleys at their booth on the restoration of Jamestown Street Railway Car No. 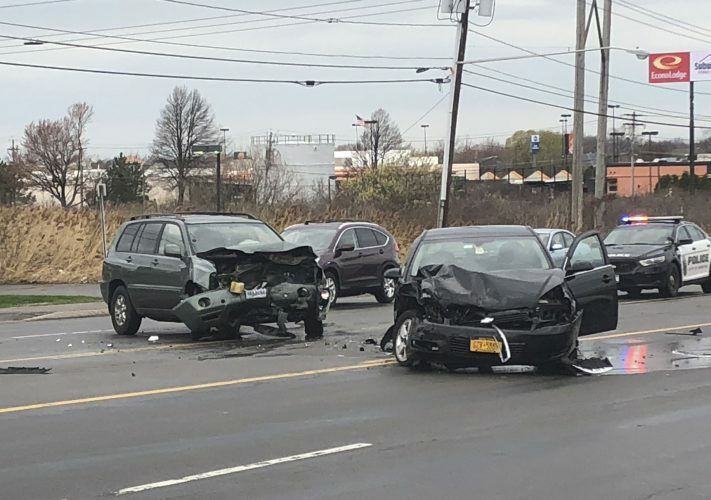 93, including that of Rebecca Schafer, whose grandmother took the trolley from Sheridan to attend Fredonia Normal School. Schafer’s daughter, Isabella Crowell, enjoyed visiting with Sparky and getting a balloon heart and bear. 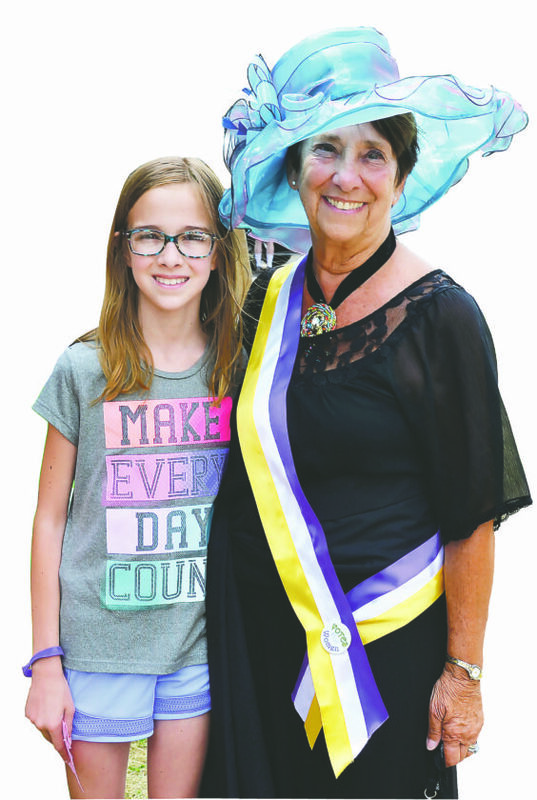 Festivals Fredonia Co-Chair Joanne Mansfield showed her granddaughter, Callie Riethmiller, the attire of suffragettes in honor of Lily Dale’s upcoming Women’s Day event on Aug. 26. 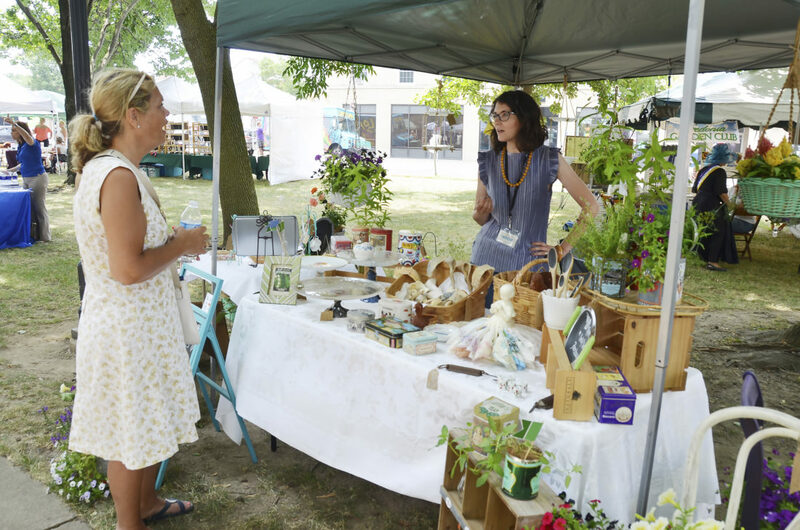 Fredonia History Days is the first of four festivals hosted in the village. Others include the Red, White and Blues Festival on Sept. 7-8, Harvest Moon Cemetery Tours on Oct. 19-20 and Miracle on Main Street on Dec. 1. 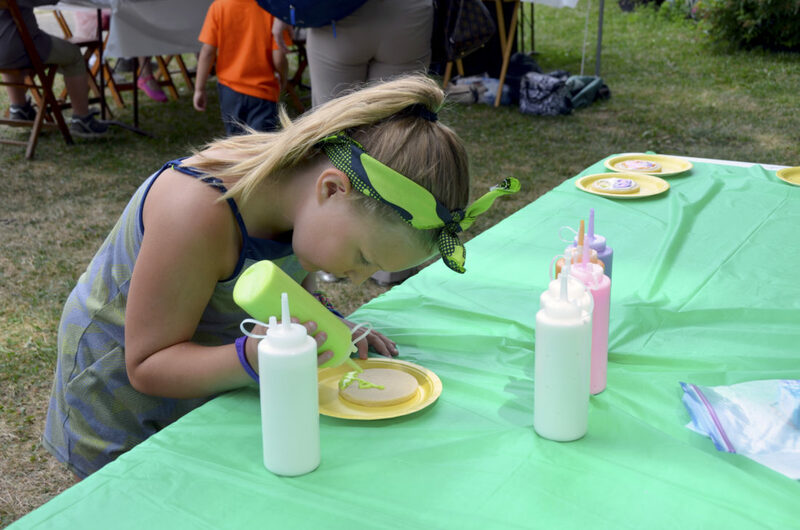 OBSERVER Photo by Nicole Gugino Sidalee Lewis decorates a cookie at Fredonia History Days. OBSERVER Photo by Nicole Gugino Festivals Fredonia Co-Chair Joanne Mansfield attended Fredonia History Days dressed as a suffragette with her granddaughter Callie Riethmiller. OBSERVER Photo by Nicole Gugino Isabella Crowell posed for a picture with Fredonia Fire Department’s Sparky The Fire Safety Dog at Fredonia History Days. OBSERVER Photo by Nicole Gugino Bob Johnston and Jim Mitchener shared stories of the area’s historic trolleys with visitors to their Jamestown Street Railway Trolley Car #93 booth at Fredonia History Days.